This next Teacher Feature is about me! Thought you might like to get to know me a bit better. Here goes . . . Seeing the progress of a Spanish 5 class that struggled to speak at the beginning of the year. At the end of the year, they were able to speak well, tell jokes, and feel comfortable talking in detail during everyday conversations. This class really felt like a family – the students loved it and I did, too. 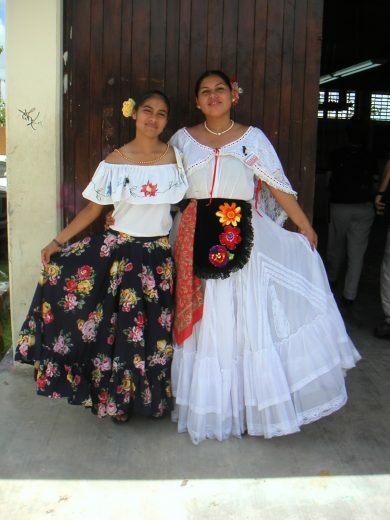 Many of them still keep in touch and have told me how they were so happy to be able to speak with a college roommate from a Hispanic country, communicate with their work colleagues, or tell stories with their Hispanic in-laws. Hearing these language encounters warms my heart! Trying to teach a class of 31 students who had each already failed Spanish 2 times. I was new to the school and didn’t even have enough desks in class for that many students. Not pretty! They definitely did not want to be there and at one point, a fist fight almost broke out in class. The day the pipes burst in our department center and spewed water over all of our desks and resources. Of course, we were supposed to continue teaching, but clean up the mess and write an inventory all our ruined books during our free blocks. 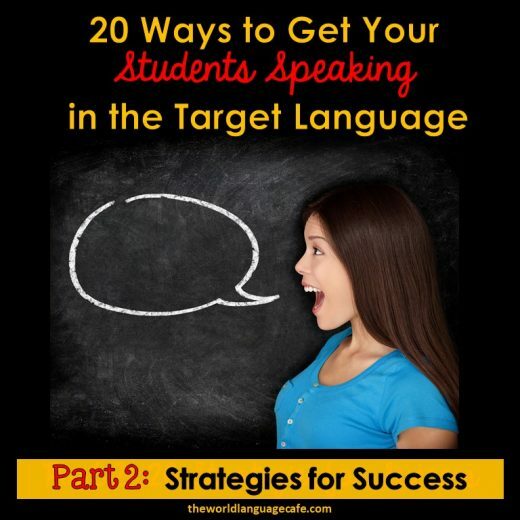 Speak as much as possible in the target language and make your students do the same. Teach less grammar and more everyday communication. Raising my own kids bilingually has totally changed my perspective on teaching. We never once conjugated a verb and rarely talk about anything grammar related and guess what? My kids speak fluently. At the end of class, one of my students climbed out the window! My students chewed a lot of gum. I made them add it to our gum collection – a piece of paper with a huge mountain of gum. Pretty gross, but pretty funny, too. (BTW – I don’t recommend doing this. My students chewed more gum just so they could add it to the mountain). !No seas aguafiestas! – Don’t be a party pooper. (Literally rain at the party). Parler français comme une vache espagnole. – To speak French like a Spanish cow. I wanted to be a field hockey coach, but knew that I needed another profession that would work with the after school coaching schedule. 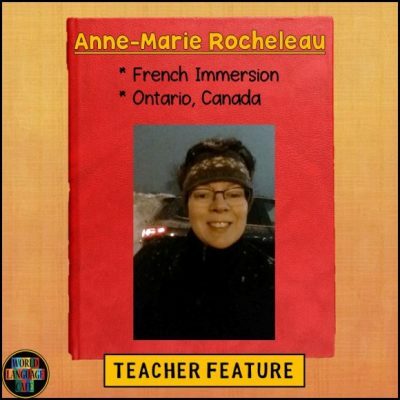 Decided to become a French teacher by process of elimination – didn’t want to teach math, science, etc. Took French all the way through college. Halfway through, a wise advisor insisted that I learn Spanish, too. Spent 4 summers immersed in Spanish at Middlebury College to earn my Masters in Spanish. Now I’m raising my own kids bilingually in Spanish. Best advice I ever got! Spend time outdoors with my family and friends: biking, hiking, kayaking, playing field hockey. I also love to invent new resources on TpT and write posts on my blog.